This summer I joined a group of bloggers to share a summer cocktail with you every weekend. I had a blast making these drinks and the receipts were so well received. So we’re back at it, today is the first day of our fall cocktail series! You can find new fall cocktails here every Saturday for the next 5 weeks, starting today with my recipe for mulled wine. At the end of this post you will find 8 other fall cocktails that I know you will want to check out and pin for later. These drinks are perfect for mild days, holiday dinners and chilly nights. Mulled wine is known by many names around the world. It’s a mixture of red wine, citrus and spices that is simmered and served warm. It’s an amazingly flavorful drink that pairs perfectly with a holiday meal or a book by the fire. 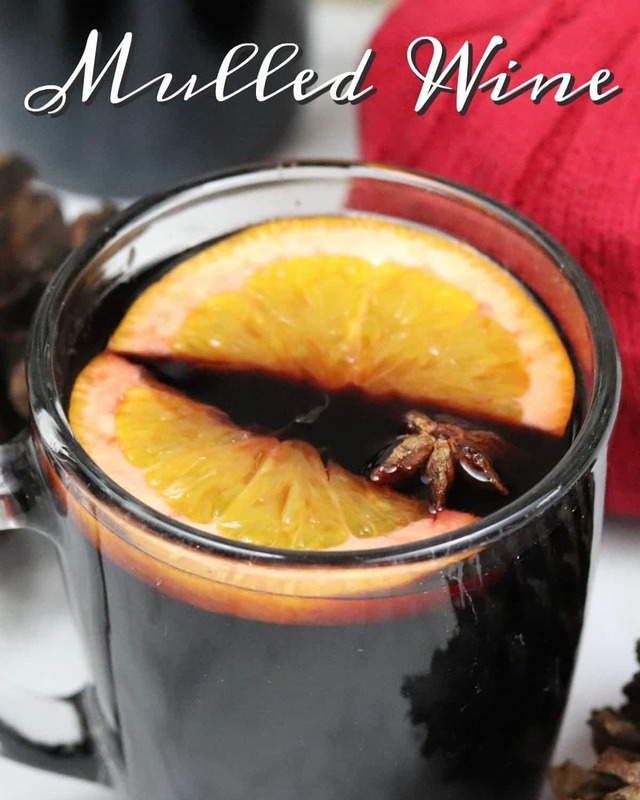 You can alter the recipe below to fit your tastes, I encourage you to experiment with different combinations until you find the perfect flavor for your mulled wine. A good mulled wine starts with a bottle of dry red wine and a small amount of dark liquor like brandy or honey whiskey. Season the mulled wine with cinnamon sticks, star anise, whole cloves and orange slices. Finally add a bit of honey for sweetness. I like to simmer mine in a slow cooker, but you can also do this over the stove. Do not boil the mulled wine! This will burn off the alcohol. Simmer it on low for about 15 minutes up to a few hours. The longer it simmers the deeper the flavor of the mulled wine. An added bonus, your home will smell amazing while this simmers. 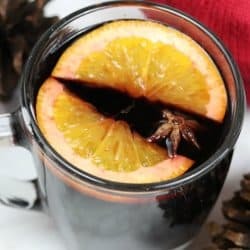 When you are ready to serve the mulled wine, strain it to remove the spices and orange slices or just ladle around them. Serve warm in mugs and add a fresh cinnamon stick, star anise and orange slice to garnish. Make this warm and flavorful drink to enjoy on chilly fall and winter days. Combine all ingredients in a slow cooker and stir well. Simmer, do not boil, for 15 minutes to 2 hours. Strain or ladel mulled wine into mugs and serve warm with a garnish of orange slice, cinnamon stick and star anise. Substitute honey whiskey for brandy or liquor of your choice. Vary the amount of spices and honey according to your taste. 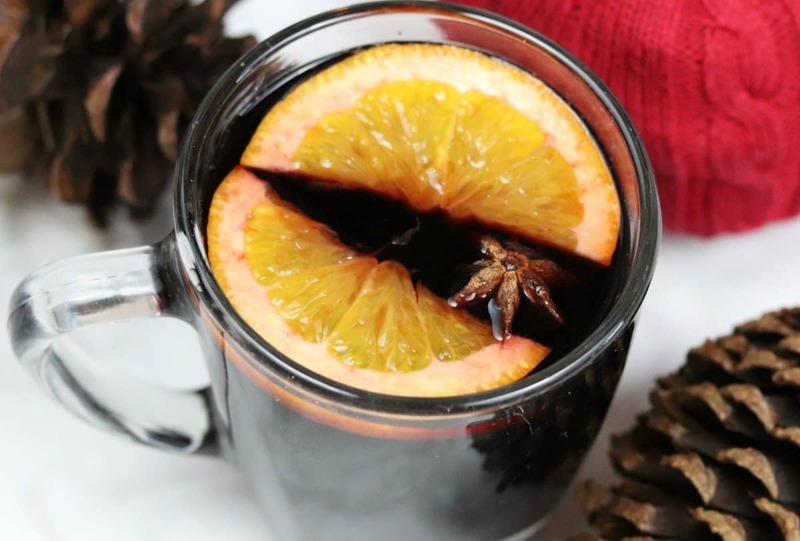 This mulled wine will warm you inside and out and the aroma will put you in the mood for fall. Now check out these 9 fall cocktails, and be sure to pin the image below to save these recipe for later! This looks delish! 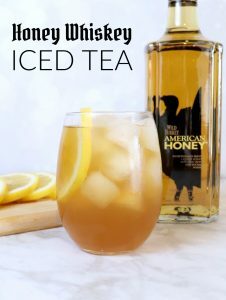 I love honey whiskey, so I will have to give it a try with wine. Can’t wait to try it. I LOVE mulled wine. This looks amazing. Those flavors probably blend nicely and as you mentioned, it will make the house smell really good! Wow! This looks and sounds amazing! Definitely trying this for Thanksgiving! ?